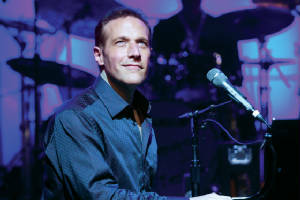 "Everything becomes intuitive when I put my hands on the keys," said six-time platinum selling Jazz pianist Jim Brickman about his process of playing. "It evolves." Brickman is evolving with his new album release titled "Soothe for Sleep" full of beautiful symphonic sounding selections lead by Jim Brickman's exquisite style of piano playing. In the background vocals by Kathy Phillips is echoing visuals of what ever you feel Heaven is. "Over the years you get the opportunity to play more and more music...people know," Jim said about his upcoming Holiday "Comfort and Joy" Tour. "I'm singing more. I got Kris Allen from ‘American Idol' on the tour." The Jim Brickman "Comfort and Joy" 2016 Holiday Tour kicks off on November 25, 2016 in Peekskill, NY and ends 28 event dates later on December 31, 2016 in Phoenix, AZ. "Soothe for Sleep" is his 21st album and it debuted at #1 on the Billboard New Age Chart. When I asked the veteran pianist about his influence on up and coming pianist, which I can clearly hear, he said simply, "It's pretty incredible..."
The "Smoothe for Sleep" album is pretty incredible too because through it Jim brings soothing, along with comfort and joy, to the Holidays this season - a great gift for those you love. My favorite cuts on the album include #1 "Setting Sun" because of the sweet angelic sound that creates a masterpiece that provokes visions of twinkling stars; #3 "Exhale" because I love the support of the flute that projects images of Native Americans living peacefully in their natural setting; #4 "Slumber Deep" which made me envision ballet dancers performing so beautifully it brought tears to my eyes; #5 "Serenity" because it puts you in a peaceful state of serenity that deepens with each key Jim Brickman plays; #9 "Gently Drifting" because of the ending it sounds like you are "drifting away" literally, and #11 "Hush" for it sounds just like a sweet lullaby. You can learn more about the Jim Brickman new album release "Soothe for Sleep" and about his "Comfort and Joy" Holiday Tour by logging onto www.JimBrickman.com. Jazz singer Anna Danes brings the "old blue eyes" era back with her sophomore Jazz album release "Find Your Wings" (DLG Recordings). Offering 12 selections that show her soft and laid back vocal style. Born in Poland and settled in Canada Anna released her debit Jazz album "Longing" in 2013. Also an author and producer (Jazz Divas) Danes recorded the "Find Your Wings" project at the Capital Records' studio and it is produced by Dave Darling (Motley Crue). "This is my second album. I never knew I had one (a voice)," said Anna Danes when questioned about her career as a Jazz vocalist. "It is like looking in the mirror for the first time, hearing your tone...it's hard to describe." My favorite songs on the "Find Your Wings" album include the title track #5 "Find Your Wings," which she co-wrote, for being such a sweet uplifting selection of hope, #2 "I Will Wait for You," a Michel Legrand cover, because it makes me want to do the Cha-Cha - one of my favorite dances and #3 "It's Crazy," a Sammy Cahn cover, because the sound is reminiscent of the Frank Sinatra era. "I want my voice to float in the background," Anna pointed out. "I like to tell a story, like Sinatra...from the heart." You can hear that sentiment in her vocal delivery. Find out more about Anna Danes, her sophomore album release "Find Your Wings," and her up coming performance by logging onto www.AnnaDames.com.